MORIOKA, IWATE PREF. 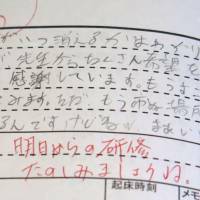 - A 13-year-old boy who was struck and killed by a train in Yahaba, Iwate Prefecture, on Sunday had left a note saying he had problems with friends at school and wanted to die, it has been learned. Ryo Muramatsu, who lived and attended schools in the town of Yahaba, was run over by a train at Yahaba Station on the JR Tohoku Line at around 7:30 p.m. on Sunday. Iwate Prefectural Police are treating the case as a suicide. Several entries in a notebook Muramatsu exchanged with his teacher pointed to troubles he had in relationships with other students at school, according officials there. In one of the entries, Muramatsu had written, “I know where I’m going to die,” alluding to his intention to commit suicide, according to the officials. A female teacher who was in charge of his class had apparently not shared the contents of the notebook with other school officials. The boy’s father, 40, told reporters that the diary contained references to his school troubles and suicidal thoughts starting from around late April. 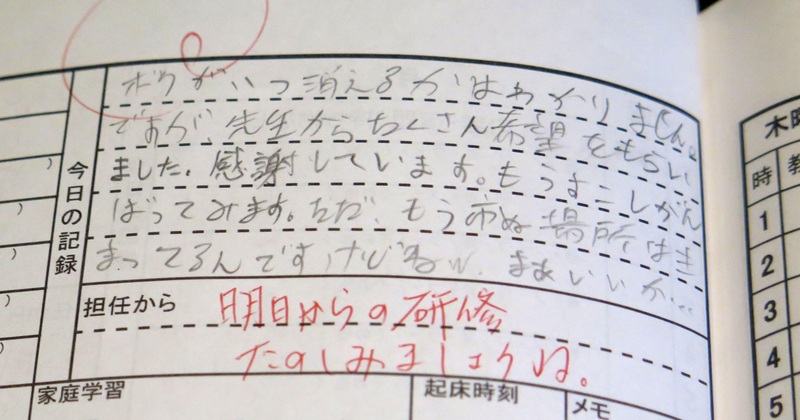 According to the school, Muramatsu belonged to the basketball club. He had missed school for five days since the beginning of the school year in April, but the school said it wasn’t aware of his problems. Testimony from his classmates suggests otherwise. The mother of a female classmate of Muramatsu’s said she heard from her daughter that a student bullied him by pouring sand over him during practice for a sports event. Other parents said their children told them they had witnessed Muramatsu being beaten by male students.